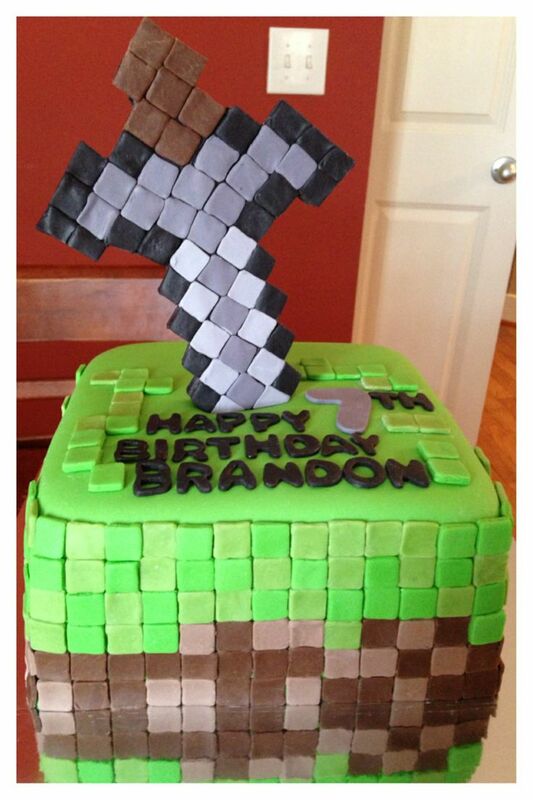 This was my son’s birthday cake this year; he is into Minecraft nowadays. The cake seems pretty simple, isn’t? Well, it is not. The difficulty is to be able to attach all these tiny squares to the cake and meet your deadline. 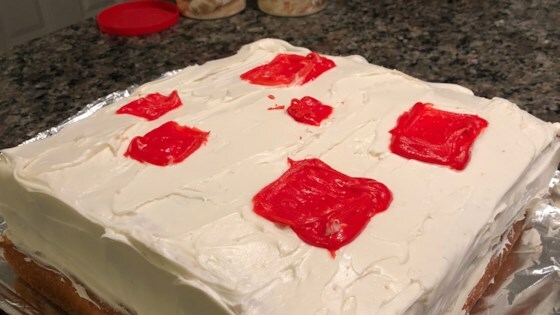 It’s not a topper that you can make in advance and stretch the process over days; you have to do it fast enough to serve the cake still fresh. 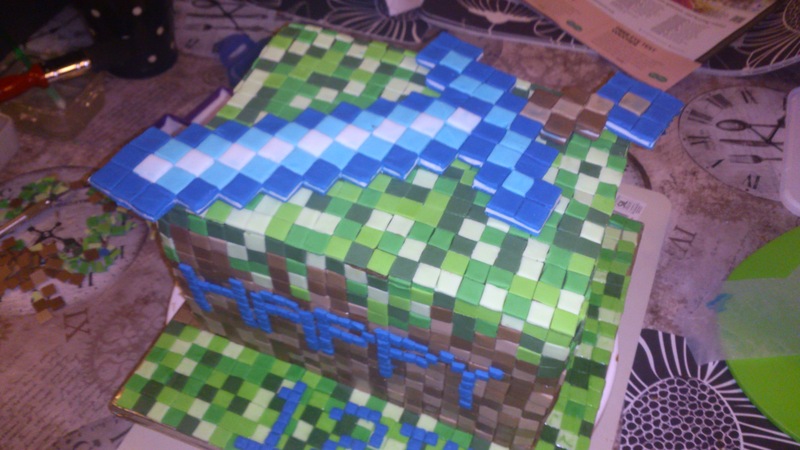 It took me 24 hours... My kids are in the midst of a Minecraft craze (Minecraft is a game on the computer), so I created this cake for a Cub Scout fundraiser. The cake is a 3-layer 8″ square cake (vanilla and chocolate) covered with chocolate buttercream and crushed Oreo cookies (to look like dirt). This cake in particular was a dense chocolate cake, filled with salted caramel buttercream. 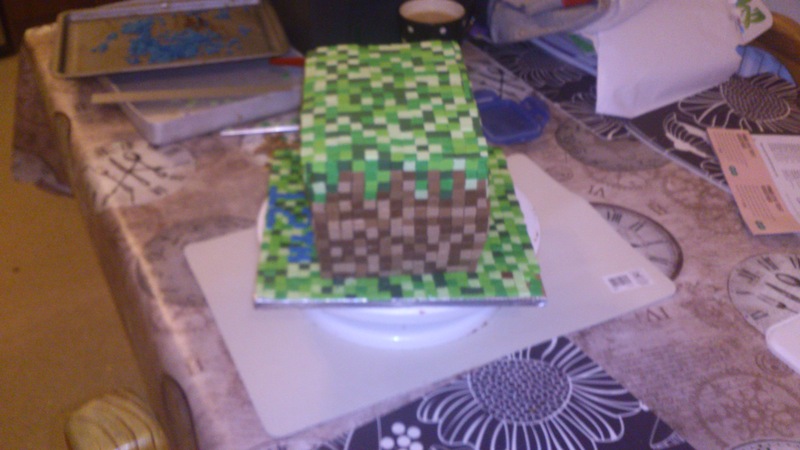 I wanted to use a heavy cake for this one to ensure that it would hold up during the carving and construction process.